Glycine is a neutral, non-essential, genetically coded amino acid. It is the only protein forming amino acid without a center of chilarity. It is also a building block for the protein. As this Glycine can be made from other chemicals it is not considered as an essential amino acid. Our normal diet should contains about 2 grams daily. The main important sources are from protein rich foods like meat, diary, fish, legumes etc. Glycine is mainly used to avoid the harmful effects of certain drugs consumed after organ transplantation’s and thus helps in protecting the kidney from such toxic effects. It is also used to enhance memory capacity and cancer prevention. The product has shown property like maintaining the healthy cytokines so that it will be helpful during the metabolic stress. It is available as tablet supplementation and is a colorless, sweet tasting crystalline solid that works also as the precursor of proteins. It functions as part of building block to numerous natural products. Glycine is found in many parts of the body. It is not only found rich in muscle alone but also in skin and in the other connective tissues of the body. From the whole lot of collagen – one third part of it is mainly composed of Glycine which helps to make the skin and the connective tissue very firm and flexible. Higher amount can also be seen in collagen that is denatured. It is also an inhibitory neurotransmitter in the CNS especially in the spinal cord, retina and brain stem. Glycine is mainly used to provide protection for our kidneys and liver. It also provides a good health to our liver and avoids the side effects from alcohol. The product also provides protection from chemicals and certain drugs mainly used after organ transplantation. It is shown that treatment with It is useful to reverse the age associated defects in the human fibroblast and has a very good role in prevention of cancer as it seems to interfere with the blood supply needed by certain tumours. 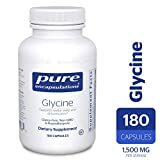 Studies show that Glycine is useful in providing a healthy protection for the kidneys and liver and helps in detoxification of certain chemicals in the body. It is marketed by pure encapsulations and is readily available in the online stores and local drug stores. It mainly comes in a bottle with a supply for 4 weeks. The sales in the market show the importance of this product in day to day life. Each vegetable capsule contains Glycine in free form of 500mg. It also contains vitamin C added as ascorbyl palmitate and a hypoallergenic plant fiber added to complete the capsule volume requirement. A general look: Glycine which was found out to be the smallest amino acid shows its presence not only in the water based environments, it also seen in fat tissues. Since it was discovered in the earlier centuries of science, it has abundance of valuable points alone and share an indispensable role in the health of the overall body. It also controls the aging process. Some people use the ingredient in cream form for treating ulcers and other wounds. This amino acid also protects our body from metabolic stress while acting as a neurotransmitter in central nervous system. Glycine is also used to contruct DNA and RNA strands. These are the genetic material of the body that are required for the cell functioning and its formation. 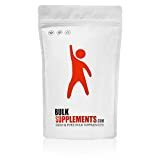 It is the Glycine that contribute in preventing the muscle breakdown by shooting the creatine level up – creatine is a compound in the body that helps in building the muscle mass. 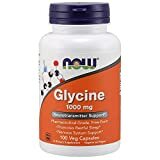 Glycine for neurobehavioral disorders: It interferes with the function of the central nervous system neurons – especially in the hyper excitability state and removes the chloride, potassium etc. This helps to regulate the ability to be stimulated in over sense. The studies show that it can be used for treating a number of neurobehavioral disorders like bipolar, Epilepsy and schizophrenia. Few reports show that Glycine also helps in preventing the seizures that are associated with epilepsy. Anti-aging properties: It is one among the important anti-aging amino acids. 30-45% of the total collagen is Glycine making it an important protein to keep the skin flexible and firm. In the absence of damaged tissues, it cannot be repaired. Certain reports signify that it also plays role in protecting the body from shock due to blood loss. It also blocks the free radical synthesis and hypoxia. Balancing Hormones: The amino acid Glycine when methylated can give dimethylGlycine. This is important for the biosynthesis of estrogenic and androgenic hormones. It also helps in stimulating the secretion of GH-human growth hormone. Treating cancer: Recent studies have shown that Glycine too plays an important role in cancer prevention and in treatments. It prevents the melanoma and tumors. A recent study on rats, gave a result that Glycine plays an important role in inhibiting angiogenesis- hence stopping the growth of tumors. Glycine is a amino acid that is necessary for the production of the proteins in the body. They account for about more than 30-40% of the protein to collagen. Cells that are present in the humans utilize this ingredient for synthesizing the fibrous tissues and the muscle tissues. Hence this has gained very much importance in treating the degenerative diseases. Glycine which is one of the glycogenic amino acids in the whole bunch will help in the conversion of glucose. This ingredient not only helps in blocking the sudden drop in the sugar level but also help in supplying the body with sufficient amount of glucose which will aid and support the cellular functions well. Though GABA plays a major role in the functioning of inhibition in the human body, Glycine too has a portion of its power to function the inhibitory actions mainly in the central nervous system. In the Glycinergic neuro transmission, the spinal cord, fore-brain and the brain stem employs the ingredient either as the exciter or as an inhibitor. Because of this functions, it is been widely used in various number of mental and psychological disorders. It is very much known for the anti oxidant activities. Although it is not an essential amino acid, it helps the body to support the physiological functions of the body. When the levels of the Glycine run down, the scavenging process on the free radicals and the reactive oxygen species will not function to the fullest form. This condition is not very uncommon now a days, especially in case of malnutrition and in mal-absorption. Glycine is possibly effective in the treatment of schizophrenia. It is good when used with other conventional medicines. It is also used to treat leg ulcers and stroke. An ischemic stroke is mainly caused due to the blood vessel blockage in the brain when the brain cells have an obstruction for free delivery of oxygen to the cells and thus resulting in reversible brain damage. Use this supplement within 6 hours after the stroke can be helpful to limit brain damage from an ischemic stroke. You can also use this product under the tongue within 6 hours to limit the brain damage. It has been used for enhancing memory and also used in cases of chronic alcholists. This amino acid protects the liver from alcoholic effects and prevents some cancers. It has a insufficient evidence in the treatment for benign prostatic hypertrophy. For optimal health, kindly consult a doctor before consuming Glycine or any other supplements. This habit will help you to gain only pros to your body. Check for the expiry date- before having it. Do not leave the bottle open for a long period of time. Not recommended for animal use. Do not suggest it to others if worked well for you. Certain drugs may not be safe for everyone as it was safe for you. Health supplements do not work overnight. It requires time to show the changes, as the Glycine has more cellular functions, it will take time to show the changes outside. Be faithful and trustful to the product. Do not consume with doubts or questions in your mind. Always clear those, as consuming it without faith, will not help to bring good changes in your body. Glycine being the smallest and the most common amino acid, it is surprising that such a small and simple compound brings so many changes to the body and brings to notice very quickly its absence too, mainly in the digestive system, central nervous system and in the hormone section. The positive applications in the health field is not replaceable and has been proved good for a whole lot who has been suffering from psychological disorders, diabetes, cancers, degenerative disorders and even chronic fatigue. Though Glycine has gained top ranking medical importance, the research still continues with a doubt of the other roles that it creates in the body. A Glycine rich food and exercise will help to grab a faster and a positive result without any risk factors as quickly as possible. From where does glycine come from naturally in our body? Glycine is mainly synthesized in the liver from two other main amino acids- serine and the threonine. In solid form, it taste sweet. 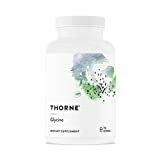 What will happen if i am running short of glycine in my body? The total absence of Glycine in the body is very rare but if it happens, it will be to critical and dangerous to the body. Glycine depletion can even lead to fatal diseases like cancer and AIDS. Those individuals who do not have sufficient amount of Glycine in the body is reported of many digestive diseases and will have fatigue related problems and energy level will drop very much down all of a sudden. Without the help of Glycine, the skin of your body will not have the capacity to repair the damaged tissues of the body- especially the skin that becomes slack due to oxidation, UV rays, wounds that did not heal and from free radical damages. Excessive sedation can be fatal if it is conceived with other sedating agents. How will i know if my body is running short of glycine? It’s better to go with a laboratory test to confirm and evaluate the level of Glycine in the body. Some people will have fatigue, sleeplessness, reduced memory power, pain in joints etc. The deficiency of Glycine will result in inadequacy, incompleteness and reduced ability to combat physical pain. Is there any test to know the level of glycine in the body other than the symptoms? Definitely YES. One can determine the level of Glycine from the laboratory diagnosis from CSF, plasma, urine. The test named as quantitative Glycine and methodology helps in the detection by ion exchange chromatography. The analysis of Glycine is very important and critical especially for the differential diagnosis of neonatal onset seizures including the detection of nonketotic hyperglycenemia. People under the treatment with valproic acid and disorders in organic acid metabolism show hyperglycinemia and hyperglycinuria. Specimen requirements are urine, CSF and plasma. Plasma requirement in adult is about 3.5 ml blood into green top heparin vacutainer tube and infant or child with 1.2 ml blood into a green top heparin vacutainer tube. CSF requirement is 0.5 to 1.0 ml of spinal fluid without contaminating blood. Urine requirement is about 3.5 ml which should be a clean catch spot specimen. Test should be performed twice a week to get confirmed average constant results. It takes around 3 to 5 days to receive the report. What could be the reason for glycine depletion in my body? Glycine is mainly depleted due to the high level of opioid passed from parents to their off spring. Trauma due to accidents, fall, injury or any related problems can reduce the availability of Glycine. All the drugs which affects the opioid system will eventually slow down or reduce the supply of glycine naturally when it is used for a longer period of time. 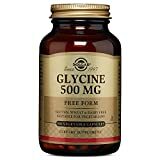 Is it safe for everybody to have glycine? Like the other drug reactions, Glycine too has interactions. So before taking the product, confirm if you aren’t suffering from any of the kidney or liver diseases. If yes, kindly consult a doctor as soon as possible. This is because; taking amino acid can lead to a disruption in the Krebs cycle or citric acid cycle (two important cycles that happen in the cells). This will lead to a buildup of the ammonia and the nitrogen in the body. These high levels of ammonia and nitrogen will make the functions of waste removal difficult for liver and kidney to function. so to be on the safer side, a medical concern is far better. 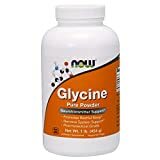 What benefit will I get of having glycine? Supplemental Glycine has many benefits, it has anti spastic activity. It shows antioxidant property which will help you protect from cancer due to its anti-inflammatory activities. 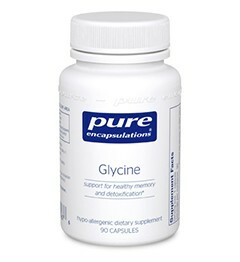 Glycine is also very useful to boost our memory power. It is very useful to improve your liver and kidney health. It also inhibits the unwanted messages from spinal cord and cause abnormal responses and uncoordinated muscular movements. This amino acid is also beneficial for avoiding the withdrawal symptoms of any drugs. It also helps in eliminating the toxins from our body. How long should we use glycine? The dosage and duration should be confirmed after consulting a health care professional as the health conditions and the systemic conditions will vary from person to person. Daily recommended use is of 3 to 6 capsules which should be consumed between meals equally or better consume after consulting with your health care professional. What is blood brain barrier and does glycine cross it? The supplement readily crosses this barrier on consumption. Blood brain barrier is a highly selective permeable barrier that separates the two sections- the blood which is in circulation and the brain’s extracellular fluid in the central nervous system. These barriers are connected by tight junctions. How much will I have to spend to purchase glycine? The Glycine comes in a bottle of 180 count veg capsules. The price comes around 22.80 dollars. You can buy from online drug shops or local drug suppliers. If you want to purchase Glycine online visit the link provided below. What will my order for glycine contains? When you order Glycine from the above mentioned link, it will contain a bottle of 180 veg. capsules. How long will one bottle of glycine last? The product of 180 capsules is recommended for 4 weeks supply. Is there any adverse reactions for the product? There are no serious adverse reactions to Glycine and seems to be safe for most people. But there are some reports on having nausea, stomach upset, vomiting and drowsiness after consumption of Glycine. There are no enough precautions for use in pregnant women and breast feeding women. It’s better to consult your health care professional before use. One should better avoid the use of Glycine while having the clozapine drug. The drug clozapine is used in the treatment of schizophrenia. Consuming this product during clozapine treatment will decrease the effectiveness of clozapine. It should be avoided in people taking anti-spastic drugs which can cause many interactions. It is also contraindicated for those who are recovering from stroke or from liver and kidney diseases. Taking Glycine can disrupt the citric acid cycle and kreb cycle and can build up more amounts of ammonia and nitrogen in the body. This will increase the accumulation of toxins and waste in the body. This will make a tough job to liver and kidneys to release these toxins out from the body. And so, It is always better to consume Glycine only after a consultation with a health care professional. What are the other natural methods that can be used along with glycine to boost the production of it in the body? Though many scientists and higher health experts have proved the role of Glycine products in preventing and treating degenerative diseases like arthritis and osteoporosis and a couple of psychological diseases, a change in the life style and the diet modification is must to boost the healthy processes and retain the health of muscles, neurons, joints and other parts of the body. One should include more protein rich foods in the diet. It can be acquired from natural food like beans, ham, diary products, egg, meat, seafood, milk, fowl etc. Veggie Glycine rich sources are mainly spinach, soybeans, cabbage, cauliflower, banana, cucumber, beans, kiwi and pumpkin. There are also other forms of supplements that are available in the form of capsules and powders. You might also have come across the term Glycine in food sweeteners and as a taste enhancer. This has also gained its popularity in using it as an addictive in the animal feed. It also plays a role as an buffering agent in the cosmetics, irrigation solutions, antacids and in some agricultural fertilizers. Recent studies have also shown that it can be produced by ammonia to chloroacetic acid.